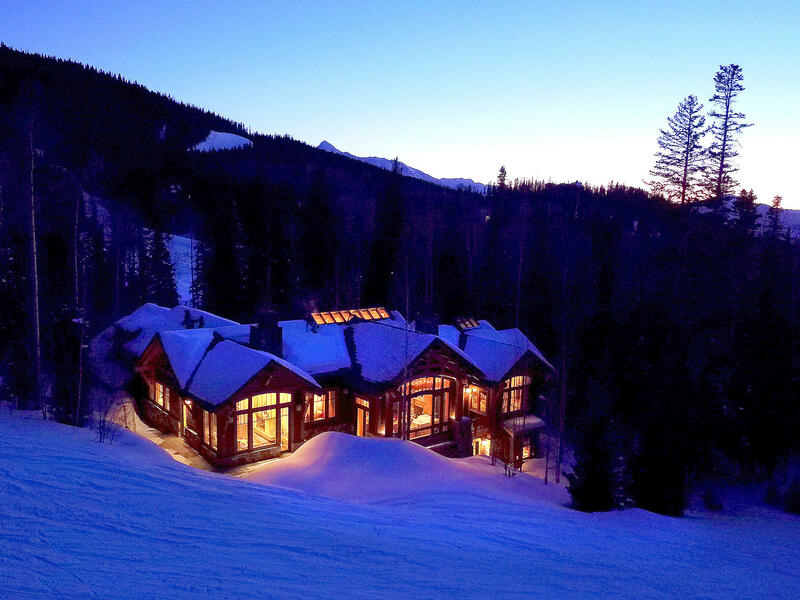 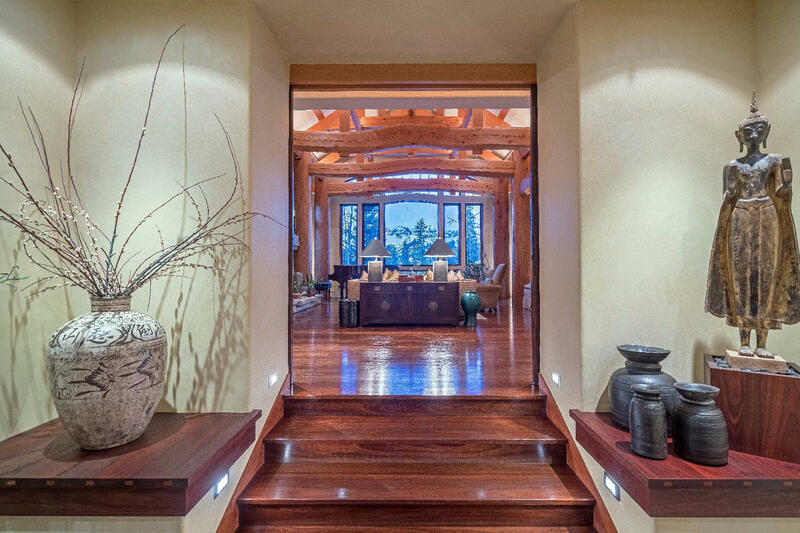 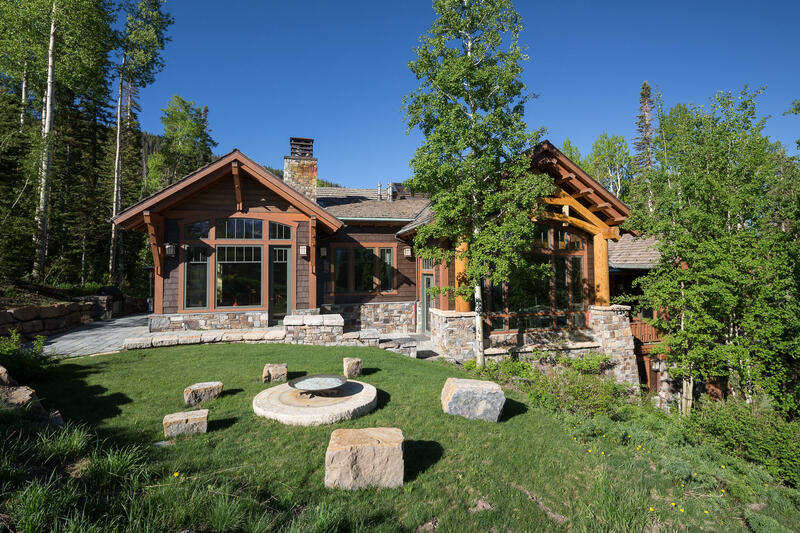 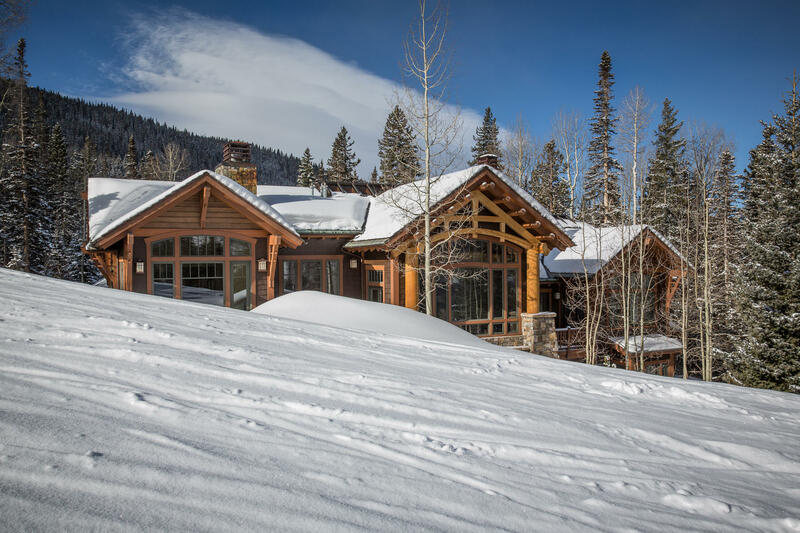 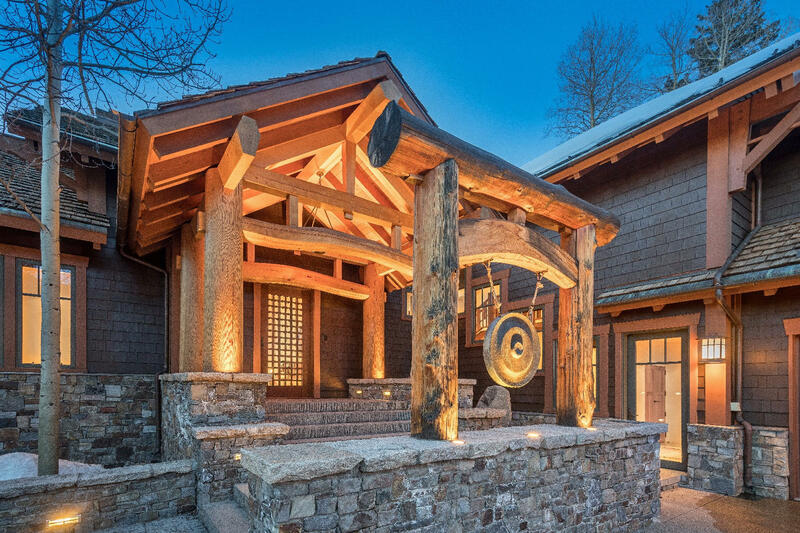 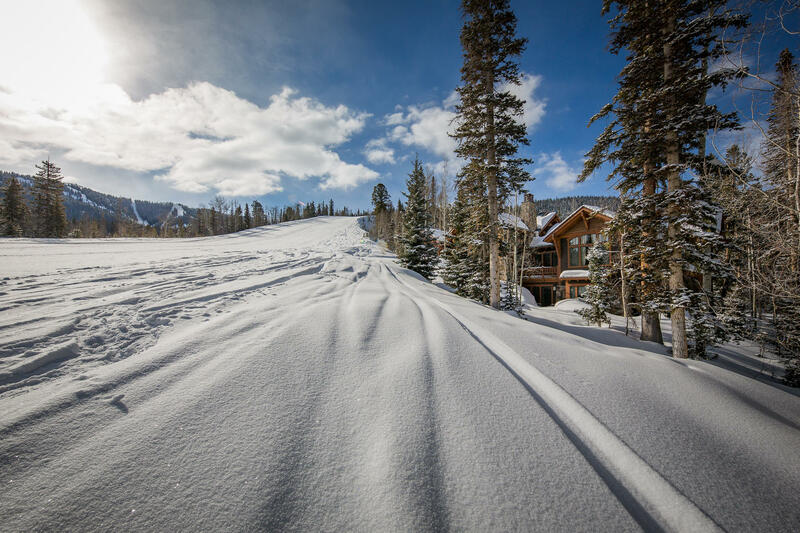 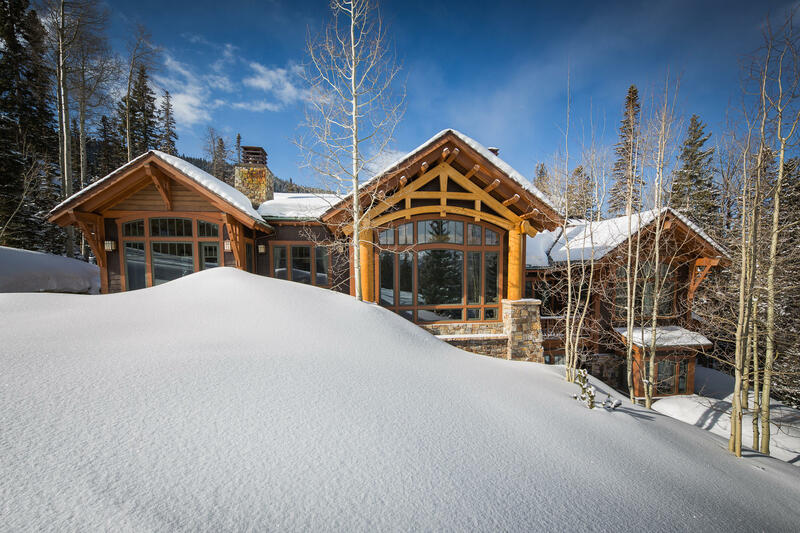 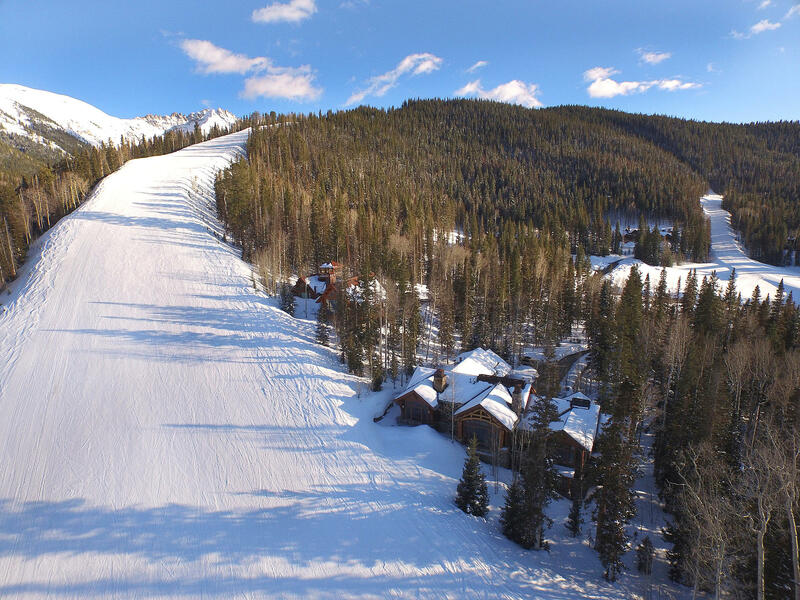 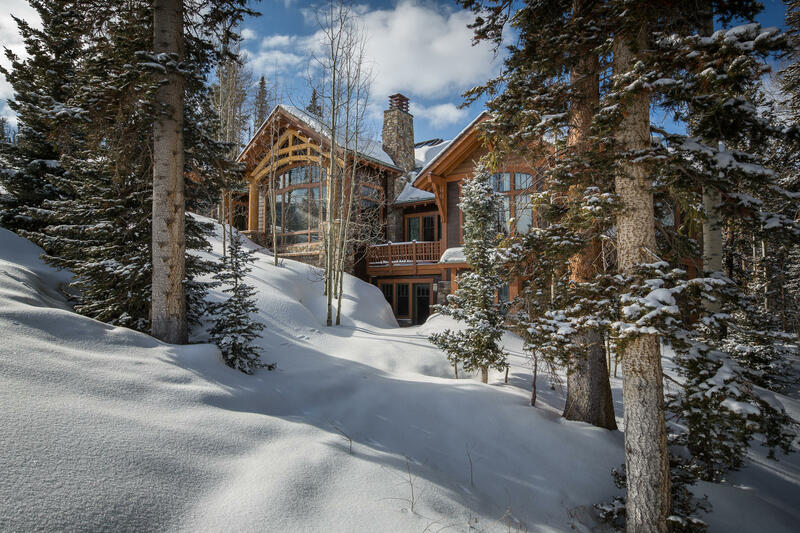 Nestled in towering spruce trees directly trailside on the Telluride Ski Resort, this beautifully custom-crafted residence was inspired by traditional Japanese farmhouse architecture, with its signature massive beams, wood joinery, sliding shoji doors and exceptional levels of detail and workmanship. 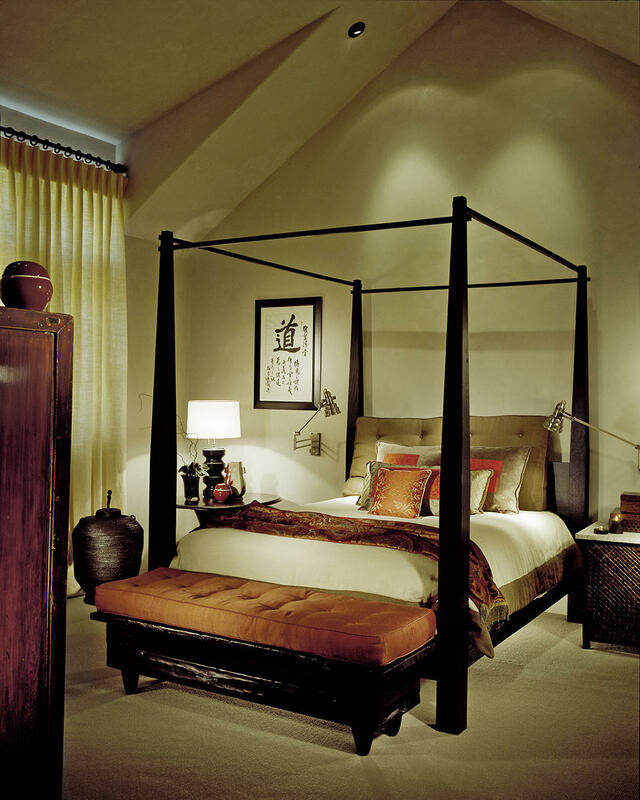 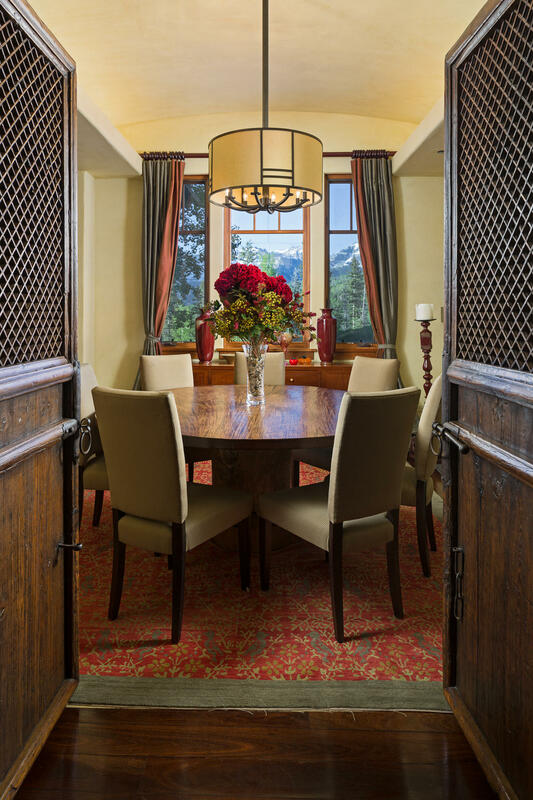 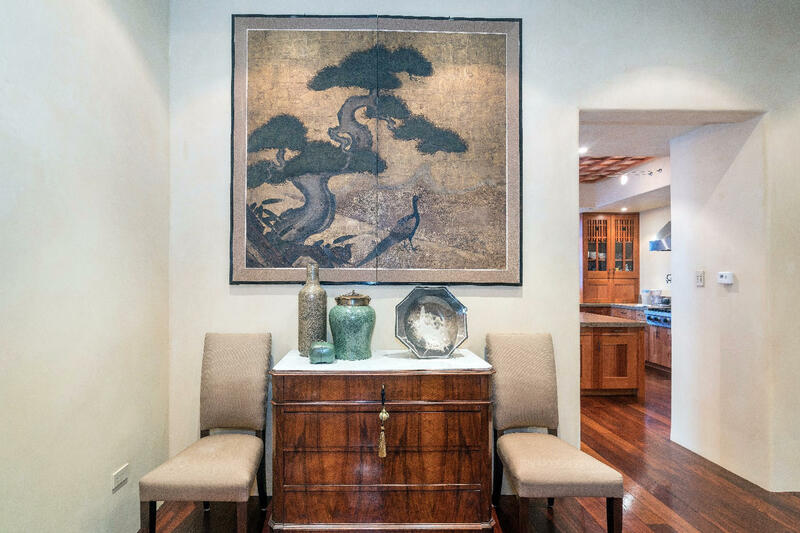 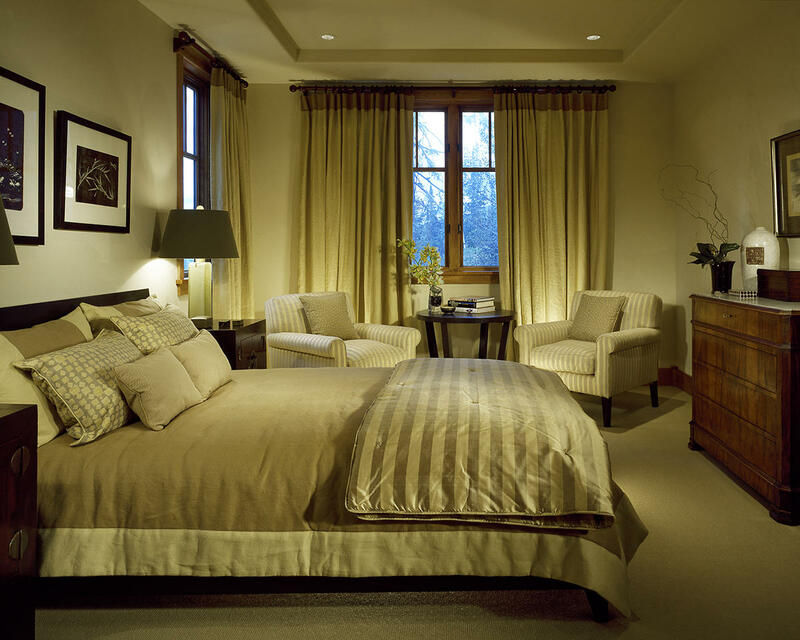 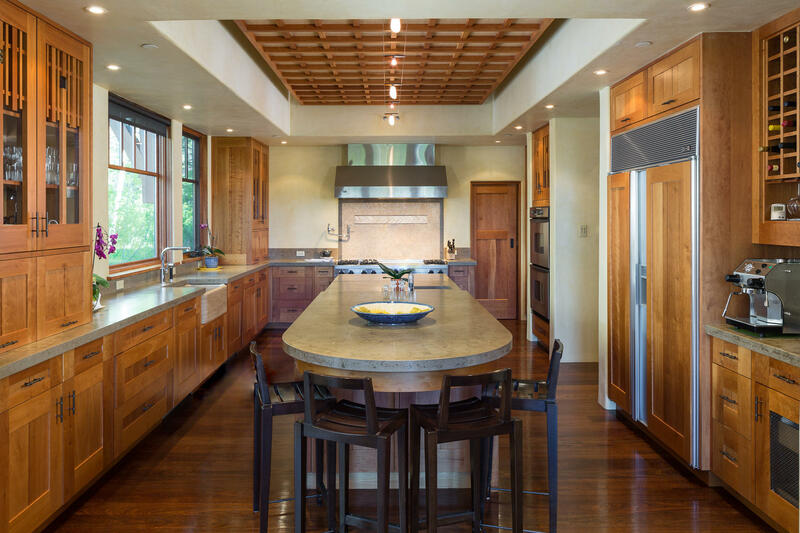 Designed by architect Michael Fuller with interiors by Andrea Jovine, the architecture, detail & finish employ the principles of Feng Shui combined with the timeless craftsmanship of hand tools shaping rare & rugged imported materials. 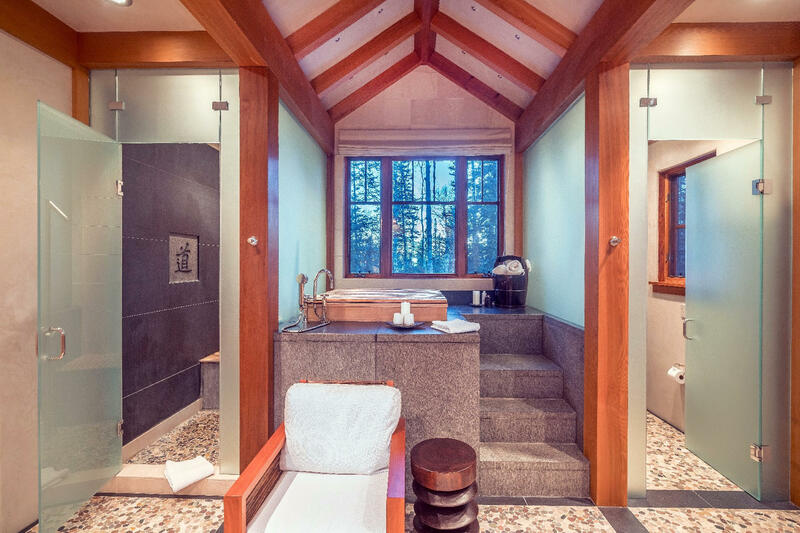 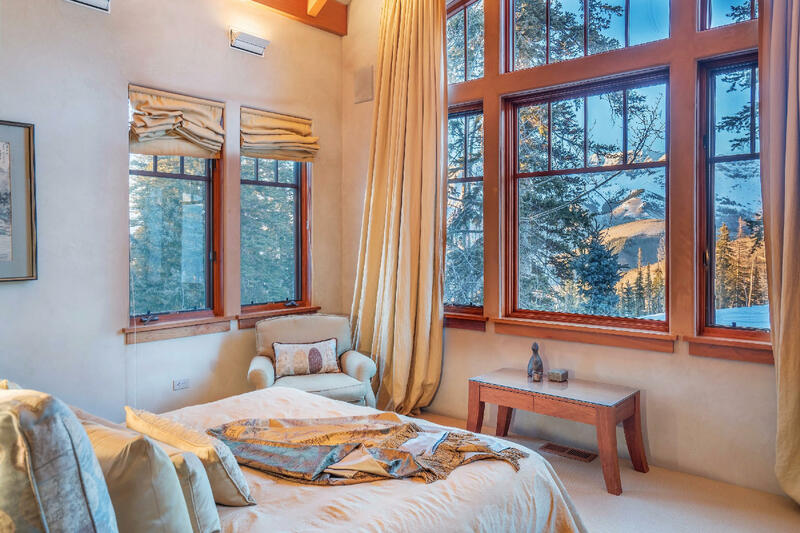 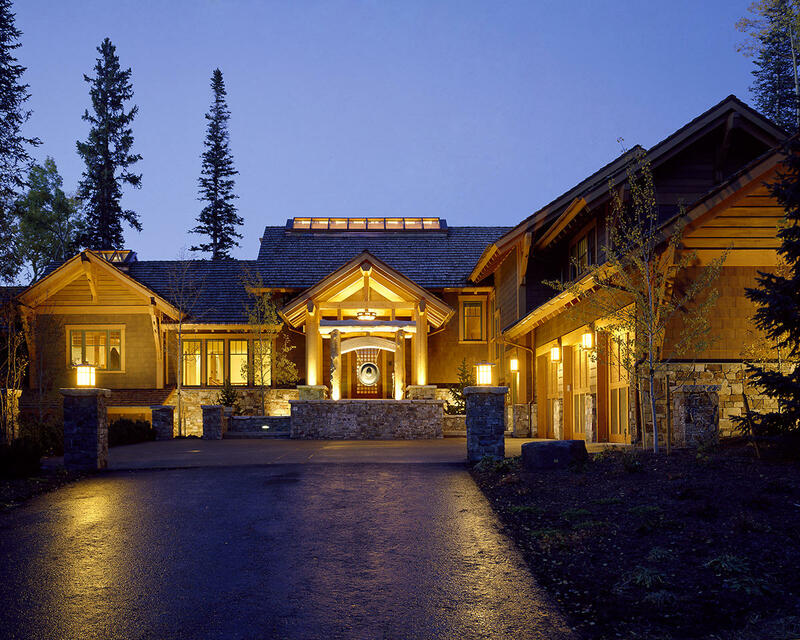 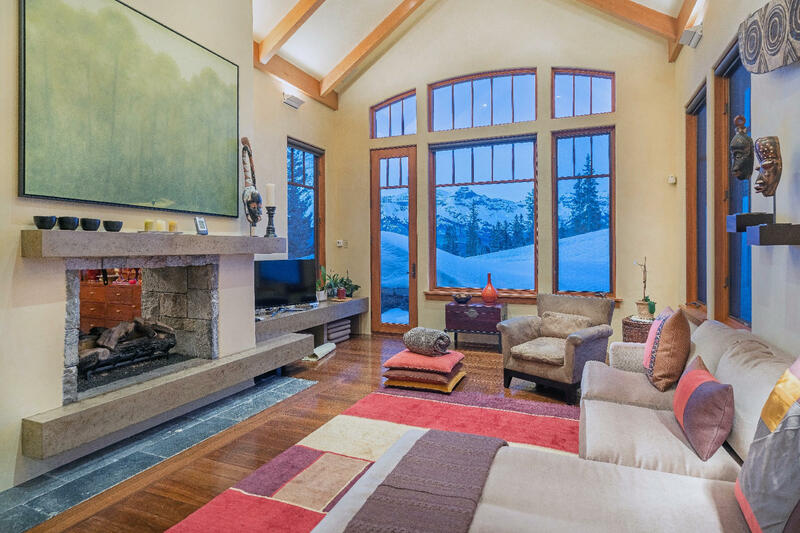 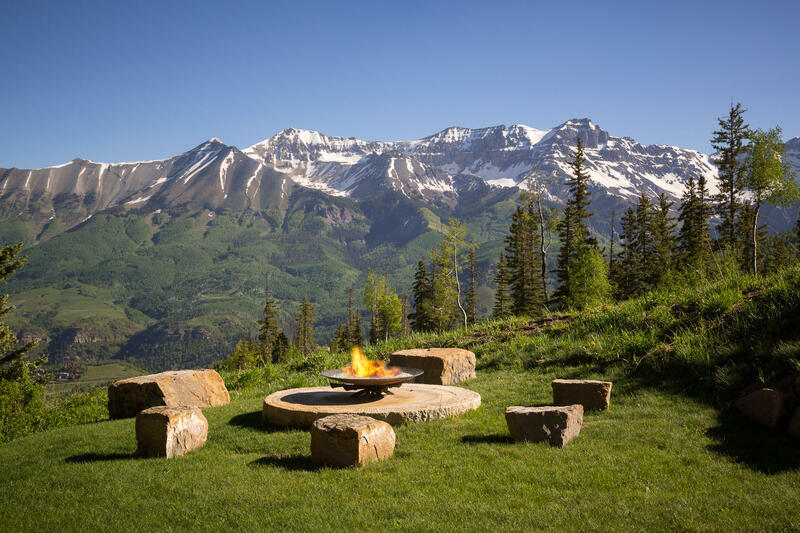 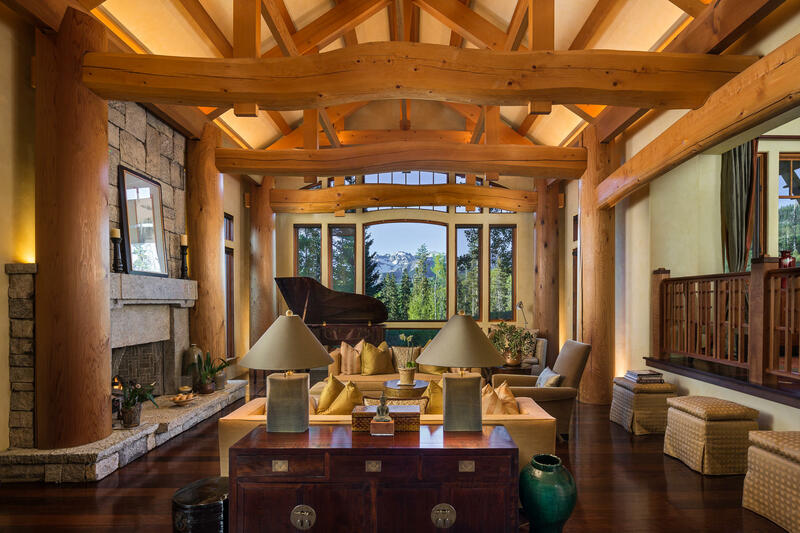 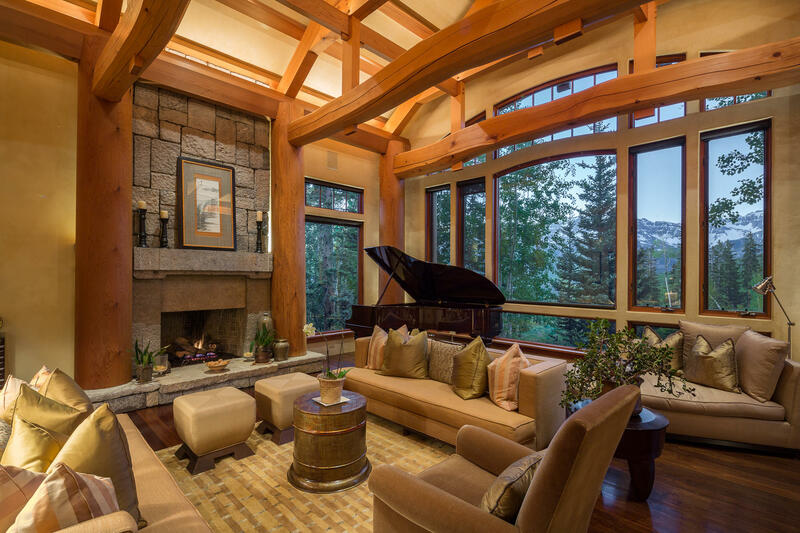 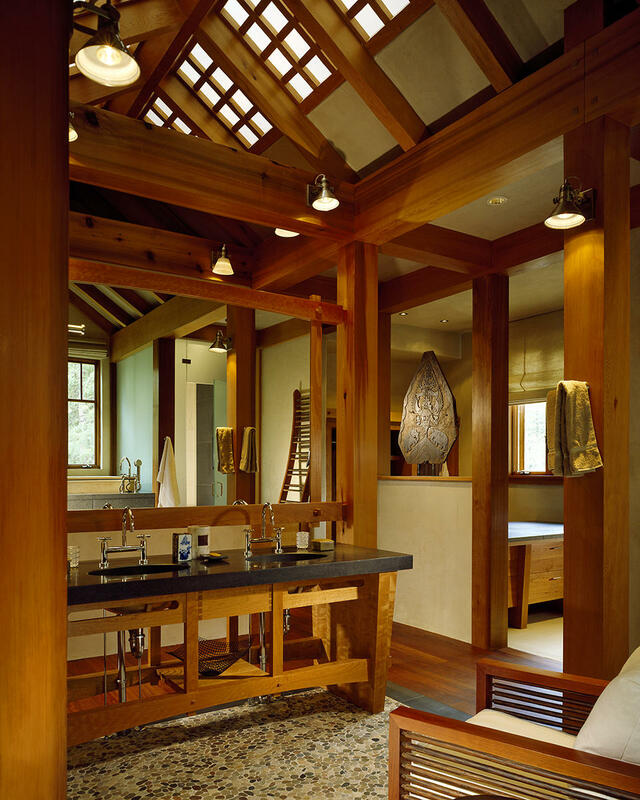 Hand-hewn Fir timbers sourced from a Japanese temple frame awe-inspiring views of the surrounding mountain peaks, while clean interiors lines, created with rich hardwoods, plaster, limestone & quarried rock from China, create a dramatic yet tranquil retreat.